The Super White Noise audio file below is timed perfectly for a 20 minute Brain Power Nap or to tune into the Superconscous Brain Net. This sound is engineered for superior relaxation and the masking of unwanted distracting sounds in the environment. Listening to this sound will recharge your brain and body quickly, and will enhance perception of creativity and paranormal sensitivity. Please adjust your player/headphone EQ to suit your tastes. A detailed description is below. When it finishes, it's time to get up. If you fall asleep and don't wake at the end, have an alarm set for 20 minutes. !!! PLEASE NOTE: Streaming reduces quality and positive effect CONSIDERABLY. !!! VERY BEST: First DOWNLOAD the file to your own computer, then play back from your own local computer. Fine tune with your EQUALIZER or TONE because speakers and headphones vary widely. This was mixed on a professional flat response speaker system. 20 Minutes Sample: Listen to part, or the whole thing- any time. This sound has five distinct components in a specific balance. All you have to do is LISTEN. Nothing else is required- it is fool proof! If you get a thought or picture, fine. Note it. Then go back to listening. I created this Super White Noise Brain Radar Catalyst myself, utilizing natural source materials, the sounds I have listened to for years in this specific combination. I listen to this sound myself every day to tickle my amygdala forward, during the day and at night in bed or any time, any place. for accessing Power Nap benefits, as well as aids to concentration, learning, memory, relaxation, stress reduction, and meditation. 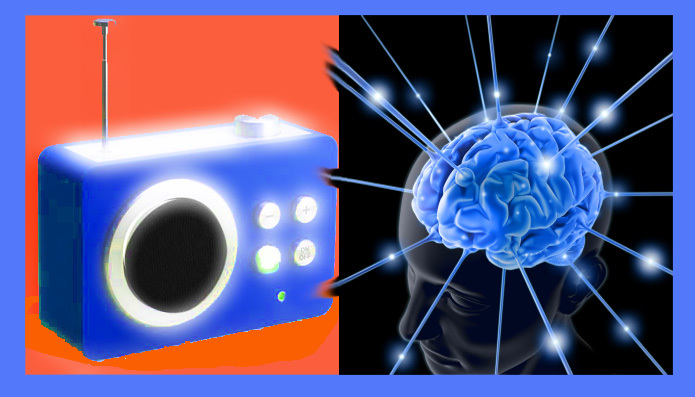 If you would like me to send you a EIGHTY MINUTE audio CD of the SUPER WHITE NOISE BRAIN RADAR CATALYST sound so you can listen ANYWHERE- in your car, next to your bed, transfer to your portable player, just click the button below. Stream and Waterfall bonus included. I have all your material.. Bought it from you a couple of years ago. I think it is great! I continue to click the amygdala forward. I have a question regarding The Natural Brain Radar Catalyst. Why does it work the way you say it does? It sounds, to my perception, like ocean waves. How did you create it, and why now offer it? I recently completed a 2 1/2 year creative writing project- The Book of Wands. Most of this book was written in an environment where the sound I heard is the sound that I've produced and enhanced in this audio file. It is a combination of five auditory elements, a combination of natural and electronic sound-- white noise, fans, crickets, wind, and running water (waterfall and creek). The balance of these particular sounds is maintained in the audio file. If you have read through my materials, you understand that it is my as well as researcher Lingo's opinion and observations that extrasensory abilities come into play indirectly, when we are relaxed, and clicked forward, as opposed to a direct conscious attempt to turn on ESP. Lingo called this "normal-paranormal abilities"
Meditation has been used to do this as well, such as meditation on a candle flame to encourage pre-cognitive ability. Meditation has also been used to enhance creativity and allow access to new ideas, and this is supported by a lot of study and research. I have a strong background in yoga and mediation, and it is not uncommon used that one can meditate on a "neutral" sound to achieve the alpha brainwave state. Any one of the sounds, ie. white noise, fans, water, and/or wind can be used to this effect alone, or in combination- and this is provided by the audio file. It's just my personal experience that I've found this particular combination in this balance helps achieve the desired effect of relaxation and creativity, and hence, the right state of mind that would allow one access to the type of paranormal and extrasensory experiences I have described in my materials and on the web site. For me, the 1100 page Book of Wands, and the stories contained of my real life experiences is my own personal material proof of the value of listening and effortlessly using such sounds to one's great advantage. I would expect that if you sat on the beach and listened to the sound of the ocean and waves, you might have a similar experience. But for me, I prefer a more even sound that I regularly use myself- the very sound of the Brain Radar Catalyst. tune-into your own Brain Radar- what do YOU want to find?